I’m not one to follow trends for the sake of following trends ― especially when it comes to technology. But, I do think it’s important to keep an eye on the latest tech to help boost your nonprofit’s fundraising and marketing results. 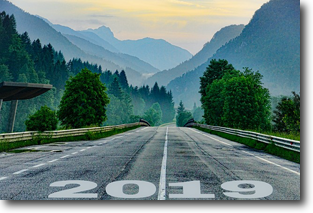 Check out my recent blog post, Nonprofit Fundraising and Marketing Tech Trends to Watch in 2019 for six trends we think are worth trying based on what we’ve been seeing at Cathexis Partners in our work with nonprofits. Q: What can we do today to improve our online fundraising and marketing in 2019? Polish your design. Your landing pages, website, and logo make a lasting impression on your constituents. Take a look at your designs to ensure they’re eye-catching and that they convey your organization’s mission and brand. Assess your data. Your constituent and donor data hold a wealth of information. Be sure you’re managing and analyzing your data to uncover trends and find opportunities to improve your fundraising campaigns and events. Fine-tune your campaigns. Ensure your events are optimized for recruiting and coaching participants. Also, make sure you’re leveraging your database, website, email marketing, social media, and software tools to engage with more supporters. Evaluate your software. Whether you’re looking to use new software for the first time, or you want to re-evaluate your existing software, assess your organization’s needs and make sure the platforms you have in place are the right ones for your nonprofit. If you need help in any of these areas, we have affordable services and special packages to help you move into 2019 more efficiently and effectively. Contact us today to find out how we can help, or check out our services. Dozens of nonprofits launched livestream giving programs in 2018, and a handful of industry leaders have already netted millions from their livestream event giving programs. Join us and Cohort3 to learn how to execute a livestream giving event for your nonprofit. Is your nonprofit ready to take advantage of this new trend in fundraising? Join us, along with The Giving Block and the Lupus Foundation of America, for this webinar and learn the basics about cryptocurrency. We’ll be attending this event and would love to talk with you about your peer-to-peer fundraising campaigns and events. Let us buy you a coffee, and let’s chat! Engaging with Your Supporters: Can Your Peer-to-Peer Fundraising Software Do These 6 Things? Design Services - Supercharge your online fundraising with affordable yet captivating designs. Peer-to-Peer Fundraising Tech Platform Selection - Find the right peer-to-peer tech for your nonprofit. TeamRaiser/Facebook Services - Get the most out of Facebook for your TeamRaiser campaigns. Don’t see what you need? We also provide custom services to meet your specific needs — at a price you can afford!